Regular readers will no doubt be aware of the fact that I recommend AVG Anti-Virus Free Edition over popular paid for rivals time and time again.Ignoring the obvious “there’s no such thing as a free lunch” scepticism that I usually encounter whenever I mention this application I’m usually also asked about the features absent; most notably a firewall. 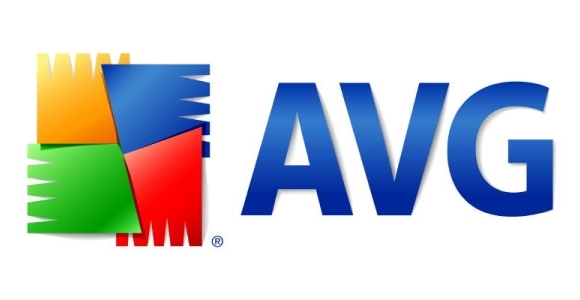 Fortunately AVG are aware that their free anti-virus package doesn’t cover the needs of all users so they have also produced a security suite going by the name of AVG Internet Security. To save recapping I am simply going to focus on the differences between the two applications so if you’ve missed my review of the free edition it can be located at www.computerarticles.co.uk. Potentially the most important issue, it’s worth noting that the free edition of AVG Anti-Virus is not licensed for business use or for use on multiple machines; if you were planning to use the product at work or on more than one computer then upgrading is the only legal option. Firewall – A firewall inspects all network traffic between your computer and the Internet in order to block unauthorised access to your machine.The firewall in AVG Internet Security is designed to be a more secure alternative to the solution bundled with Windows. Spam Filter – The integrated Anti-Spam filter prevents unwanted e-mails from reaching your inbox while also protecting you against phishing attacks.The anti-spam feature in itself will be invaluable to most users; especially those that have no use for certain male oriented medical products. Anti-Rootkit Scanner – A rootkit is a piece of software designed to obscure the fact that a computer system has been compromised from both the user and anti-virus software.The intention is that files can be altered and processes executed without triggering a conventional anti-virus scanner, including AVG free edition. Identity Theft Protection – Following their takeover of Sana Security at the beginning of this year, AVG have started integrating their software algorithms designed to detect unusual malware prompted behaviour designed to siphon off passwords, bank account details, credit card numbers and so on. There are also a few other bits and pieces chucked in, including Instant Messaging protection, free technical support and a safe download manager making it a pretty comprehensive package. There are however a couple of drawbacks.First and foremost it is larger, and therefore more resource hungry than the free edition which is unfortunate as one of the things I loved most about the free edition was how it was substantially smaller and faster than the biggest players on the market such as Norton and McAfee.While it is still ahead of these alternatives it is still a shame to see it lose any ground on this front. Secondly, and most obviously, Internet Security is not free. You can buy the two year, three user license on the AVG website for £83.18 or alternatively (if the Herald Express will allow me a shameless plug) we are selling it retail boxed in our Torquay Road and new Newton Abbot store for £32.99. Whether Internet Security is the right solution for you depends on your particular needs; I will reiterate that the free edition (http://free.avg.com) is a more than capable anti-virus checker but if you desire the extra features and don’t mind the slight sacrificing of speed then the paid for suite may represent a better option.